Join us for the February presentation of the Camber Outdoors Webinar Series: Self-Awareness, Presence, & Emotional Intelligence. As the workforce moves towards a more diverse, equitable, and inclusive environment, it’s imperative that leaders, thinkers, and colleagues think about their emotional intelligence. The Greening Youth Foundation’s Eboni Preston will present on the importance of self-awareness, self-management, and social awareness in the workplace. Eboni Preston is the Director of Programs at the Greening Youth Foundation where she oversees the organization’s Public School Initiative, Youth Conservation Corps, and Urban Youth Corps departments, including national programs and initiatives in partnership with the Department of Interior, United States Department of Agriculture, and local municipalities. As a member of the leadership team, she is passionate about her work to nurture the next generation of environmental stewards and leaders. 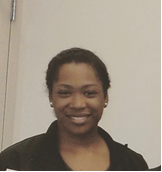 Eboni came to the Greening Youth Foundation in 2016 after years of extensive work with the NAACP, National Urban League, and Children’s Aid Society. She has a background in non-profit administration, program operations, advocacy, and workforce development. Eboni holds a Master of Science in Social Work from Columbia University, and Bachelor of Arts from Duke University. Camber Outdoors Webinar Series: Self-Awareness, Presence, & Emotional Intelligence.